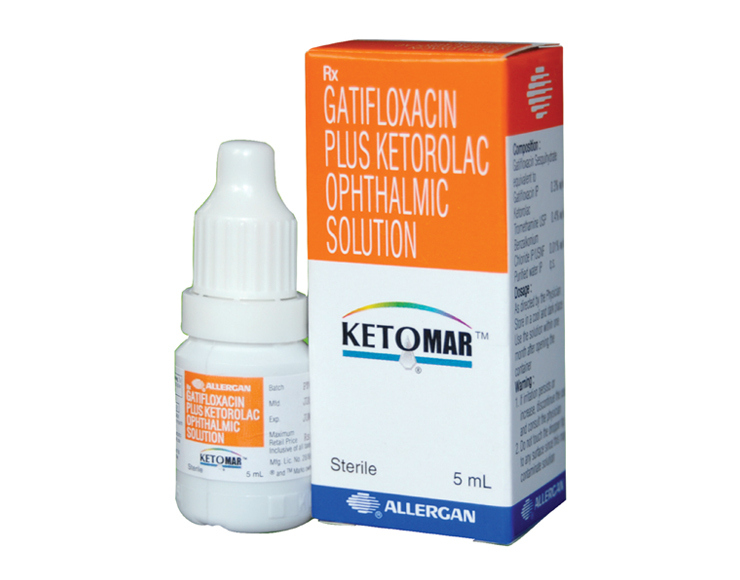 Ketorolac + Gatifloxacin is a combination eye drops, which contains an antibiotic Gatifloxacin & an anti-inflammatory agent Ketorolac. The general recommended dose of Ketorolac+ Gatifloxacin is one drop instilled into the affected eye(s) four times daily. Gatifloxacin Plus Ketorolac Ophthalmic Solution is indicated for the reduction of post operative inflammatory conditions of the eye. KETOMAR™ available as a sterile suspension in 5 mL plastic dropper bottle.